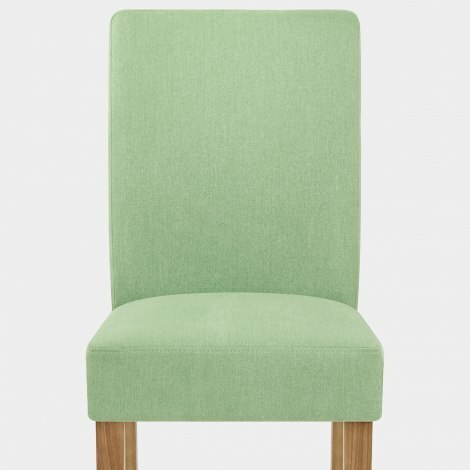 Brighten up your dining area with the Austin Dining Chair Green, a refreshing piece of furniture design with both traditional and modern style influences. Equally sophisticated and sturdy, the Austin has been designed for big things. A charming diamond design creates unique style in this piece, bringing a touch of detail to the sprung and belted seat. 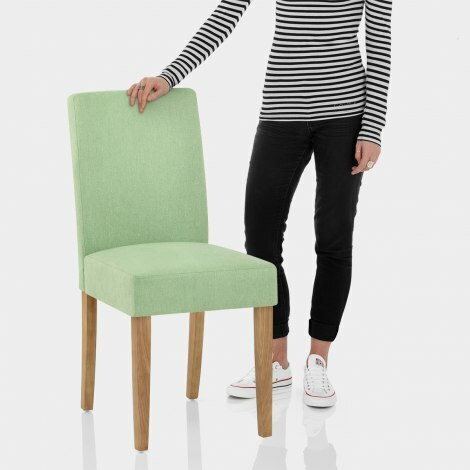 Super comfortable and supportive, the seat has a tall curving backrest and is upholstered in a vibrant green fabric. The strong frame has four solid wooden legs and features a light oak finish to lend a classic look that will match many settings. Finally, protective plugs cap each leg in an effort to take care of your floor surfaces. "Very well made and stable"